The material presented shows how a small group of men, for there were few if any women involved in this plot by which these individuals were able to shoe horn, or perhaps even consider the concept as being to dupe, a very reluctant peoples, and an equally reluctant Westminster Parliament, into an effectively unaccountable and practically undemocratic Supra National EU State where Britain, as the 5th. largest economy on the planet, was in thrall to not only a very allien system of foreign Governance but was in thrall to a massive army of unelected bureaucrats as they inexorably worked towards building their ever more closely controlled political Empirate – ever more distanced from the people as it centralised control. This rare moment of honesty by Edward Heath was subsequently confirmed, without appology, in the House of Commons! 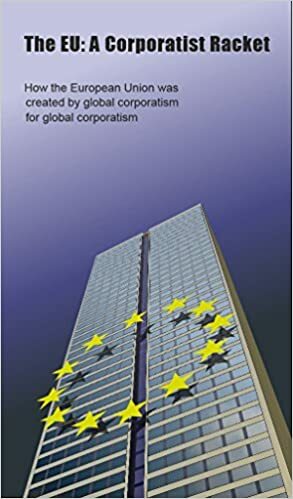 The fact that Britain’s membership of what is now the EU was founded on duplicity, lies and irresponsible journalism goes a long was towards explaining why membership of this arcane concept does not sit easy with a huge proportion of British peoples and their allies around the world – a body so large it will not be subjugated with more spin and fudge, an honourable body who resent the tactics of Fear, Uncertaintly and Doubt (FUD). Sadly an element of the style of FUD has been adopted by some of the oponents of membership of the EU and the centralised super state (or if you preffer Federation of States and their Empirate it is inexorably working towards creating). Britain, from being a model to the world of principle, democracy and tollerance of colour, creed and equality [ever striving for a fairer system and style and patriotically welcoming all who valued our aspirations], has become embittered and exploited by those who will, not so much shoe horn as tyre lever, their aims on people – be that those who, for lack of research and depend on cheap jingoism to seek to blame the EU and migrants for all our ills. This concept of integration into a single state can be clearly seen by studying the many British Government official papers and memorandae of 1946 through pqarticularly 1948 & 1949 and subsequently where clandestine British Government activity was taking place behind the backs of the peoples of Britain as our Government participated in The Council of EUrope to weave the foundations of our participation in this whole ghastly, anti democratic and aggresively expansive construct. Do read on and you will note at the end of the factual tour of documents I take the liberty of advocating further study and where to start on our journey of liberation!